So here we are living in a world that has advanced technologically so much in the last 100 years that our bodies, in particular our immune systems, have had no chance to evolve to a point where we can cope with the constant daily bombardment of pollution in the air, water and in the energy that surrounds us. What do we do? Live in fear of catching some deadly disease or other illness? That certainly isn’t the answer because fear is a pollutant in and of itself. Its low vibration energy will only pull us into more contamination and open more doors to illness and disease. So what is the answer? It would seem that our own evolution created a fail-safe for circumstances that change faster than our bodies are able to adapt to them. It’s called consciousness. We have the ability – and the right – to make choices that override pre-programmed instinctual responses. By making a conscious choice to deliberately assist your own body and its immune system through the use of a wide range of energy techniques along with a wide range of holistic practices, we can avoid many illness and diseases. It’s also good to remember that your immune system is also susceptible and responsive to your emotional and psychological states. Relaxation techniques will assist you in improving the function of your immune system. 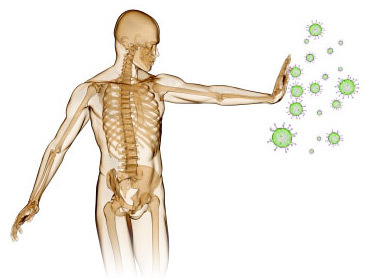 The real eye opener for me was learning about the two energetic arms of the immune system. The Chinese practitioners have given them the names triple warmer and strange flows (also know as radiant circuits). The difference between the two systems is that triple warmer could be called “the militia within” because it aggressively mobilizes the systems of the body to fight while the radiant circuits are gentle in their organizing of the body’s systems to work in harmony and cooperation to promote good health. Triple warmer, although classified as a meridian, is much more in that it will jump its course – unlike other meridians – and hook up with other meridians and organs, much like a radiant circuit (which we will talk about later). It networks information to all meridians along with the organs they serve. It also works with the body’s thermostat – the hypothalamus gland – to distribute heat throughout the body under different circumstances. For example, heat is distributed evenly throughout the body if it is in relative balance. However, if you become angry, the heat will rise flushing the chest, neck, face and arms with redness as your blood rushes to these areas in preparation for the “fight”. Should you decide “flight” is your best option, heat will leave the upper part of your body and travel to your legs so you can run fast and get way from danger, thus explaining why our faces often turn white when we are frightened. Here’s the thing about triple warmer – it has been several million years since triple warmer has gotten an update as to what threatens our survival and its only interest is in keeping us alive. So, it protects us, at all costs, against anything it views as a threat to us and that includes all the pollutants that we are exposed to each day including the foods, medicines, and electromagnet fields produced by our modern technology, because our bodies have not evolved to deal with them. What happens? Our immune systems can become so overwhelmed that they turn against the bodies they were created to defend. Thus is born the autoimmune disorders. There’s a long and growing list of diseases created by this scenario of the immune system attacking its own body: Addison’s disease, chronic fatigue syndrome, Crohn’s disease, lupus, multiple sclerosis (MS) and even rheumatoid arthritis, to mention a few. These are all creations of triple warmer being in a constant state of emergency. Being in a continuous state of emergency response – whether it’s fight, flight or freeze – exhausts the body. In its normal state, the body’s energies cross back and forth, from one side to the other, over the body. When triple warmer is in overdrive and your immune, nervous and circulatory systems are constantly bouncing between fight, flight and freeze, the side effect is that your energies will move straight up both sides of your body, rather than crossing over, and you have access to only 50% of the energy your body would normally have access to. This is called being homolateral. When you are homolateral it’s hard to think clearly and depression can become the norm for you as you begin to not be able to see, hear, smell, touch or taste as well as you used to be able to do. 2. On letting them down, lift your left arm and your right leg. 3. Repeat this motion, exaggerating the lift of your leg and the swing of your arm across to the opposite side of your body. 4. Continue this exaggerated walk for at least a minute – breathing in through your nose and out through your mouth. If you find it to be difficult to coordinate your arms with the opposite legs or you feel confused or exhausted during or afterward, you’re probably homolateral. 1. Begin by breathing deeply and thumping the points called “K-27” acupuncture points. These are found by placing your fingers on notch on your collarbone, dropping down about an inch and slowly move outward until you find two indentations or soft spots. These are the K-27 point. Thump them with your first two fingers and thumb held together on each hand as you breathe in through your nose and out threw your mouth three times. This stimulates the energies that became stagnant as you became homolateral. 2. Next, march in place, lifting your right arm with right leg and then your left arm with your left leg. Breathing deeply, repeat this motion for a total of 12 repetitions. 3. After 12 reps of this, stop and change to the Cross Crawl, where you are lifting your right arm with your left leg and your left arm with your right leg. Repeat for a total of 12 times. 4. Repeat this sequence two more times – 12 Homolateral movements, 12 Cross Crawl and again. You can anchor this by doing an additional 12 Cross Crawl at the end. 5. End by thumping your K-27 points again. This exercise should be repeated at least twice a day and may take 10 to 30 days for the new crossover pattern to stabilize. You will feel the benefits almost immediately. Sometimes it’s not only difficult to explain physical exercises in words, but it’s also difficult to fully understand the instructions. So, I would suggest, if you do find my explanation confusing or difficult to fully understand, check out some of Donna Eden’s videos on YouTube. She has one on the 5-Minute Daily Energy Routine that will show you how to thump your K-27 points (and the routine itself is very beneficial – I’ve been using it for several years with very good results. Since I have viewed many of her DVDs, in the course of my training, I’m not sure what other videos are available, but I’m sure it would be worth checking out. I want to continue the discussion about Triple Warmer before I move on to the Radiant Circuits, but that will have to wait until next time. Until then, try the Cross Crawl and check out Donna’s video on the 5-Minute Daily Energy Routine. I don’t think you’ll be disappointed! May the loving Light of Healing and Health be yours…. 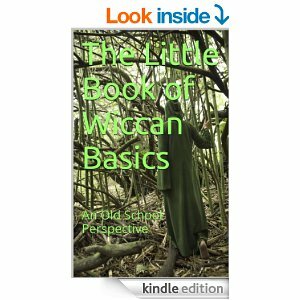 This entry was posted in Astrology and tagged Cross Crawl, Energy Medicine, homolateral, immune system, K-27, Metaphysics, Paganism, Self-Empowerment, Self-Healing, Self-Help, Transformation, Vibrational Healing, Wholistic Healing, Wicca. Bookmark the permalink. Heh. Yep. It’s been a while since I did the 5-min routine, and a minute of the cross-Crawl left me feeling as though i ran a marathon. whoops! Good information, thanks! You’re welcome! That’s what I’m here for!